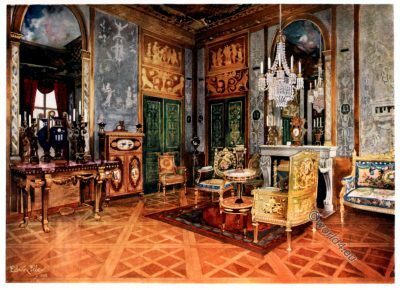 Salon de Musique of Queen Marie Antoinette, Palace of Fontainebleau, France. This entry was posted in 1780, 18th Century, Ancien Régime, France, Nobility, Rococo and tagged Furniture, Marie Antoinette, Rococo fashion on 3/28/18 by world4. 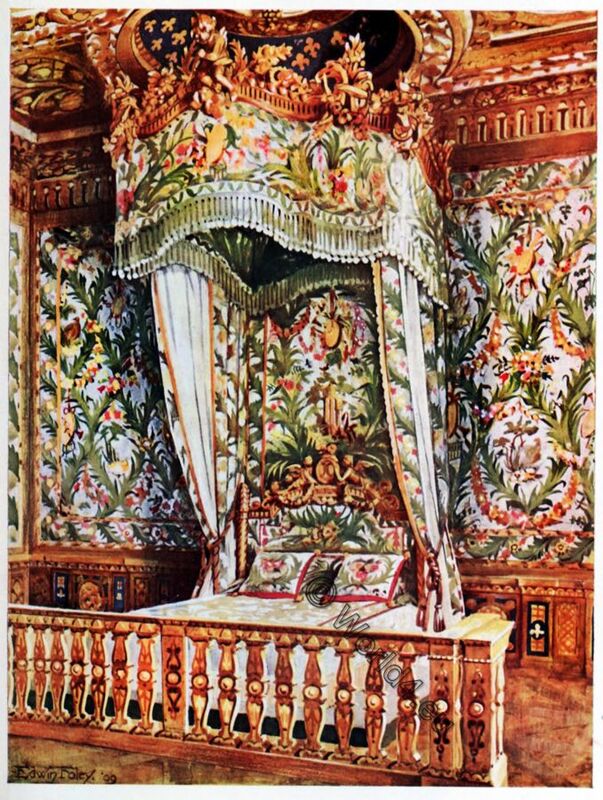 This entry was posted in 1780, 18th Century, Ancien Régime, Baroque, France, Genre, Nobility and tagged Furniture, Rococo fashion on 3/21/18 by world4. 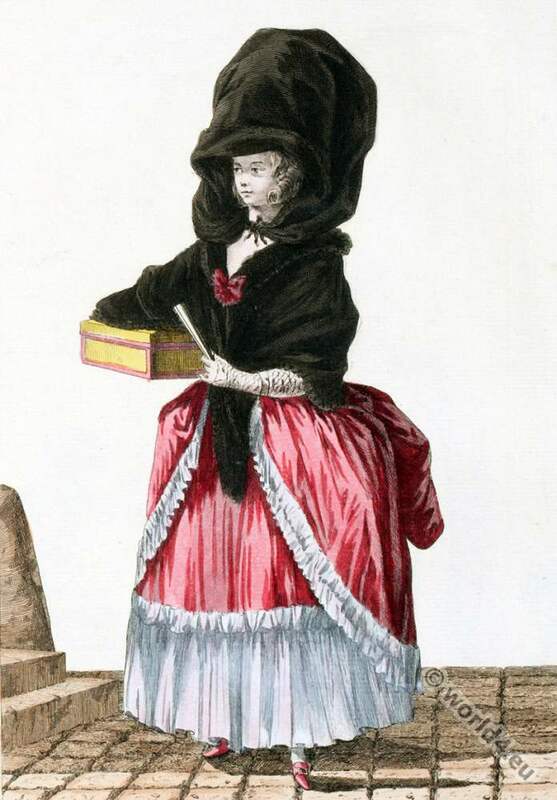 Petite robe ouverte et décolletée. Bois de Boulogne. Petite robe ouverte et décolletée, 1780. Petite robe ouverte et décolletée. The recreations of the Bois de Boulogne. 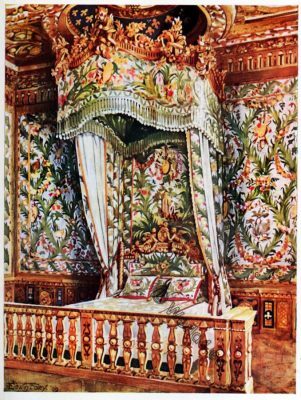 This entry was posted in 1780, 18th Century, France, Rococo and tagged Collection d'habillements modernes, Rococo fashion on 9/27/15 by world4. 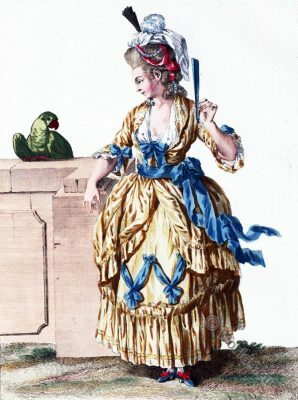 Coiffure à la Belle-Poule 1780. 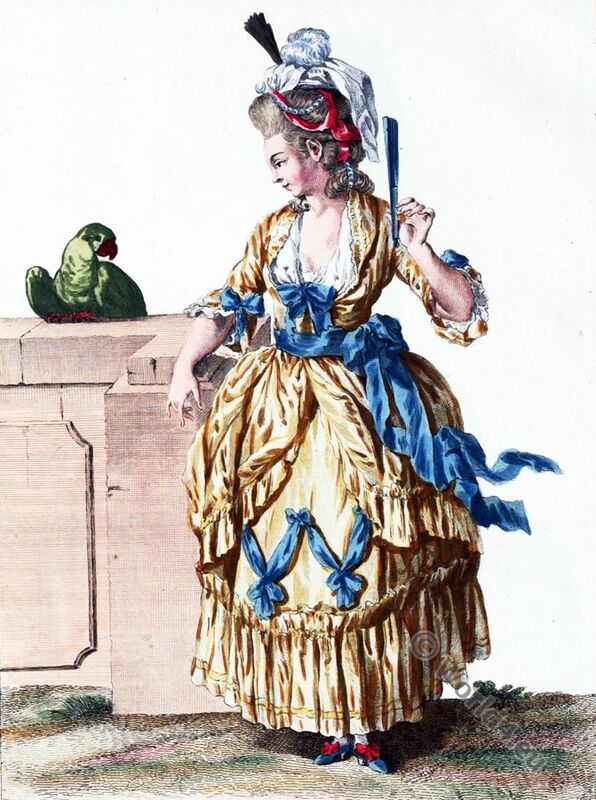 This entry was posted in 1780, 18th Century, Ancien Régime, France, Hairstyle, Headdresses, Rococo and tagged Hairstyles, Paris à travers les siècles, Rococo fashion on 7/4/15 by world4. Top row left: French Rococo costumes of the years 1778-1779, 1774-1779, 1778-1780. 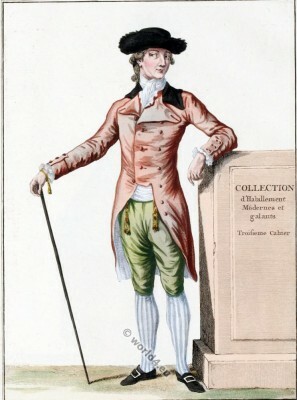 Right: French Fashion of the 1787, 1792, 1787. 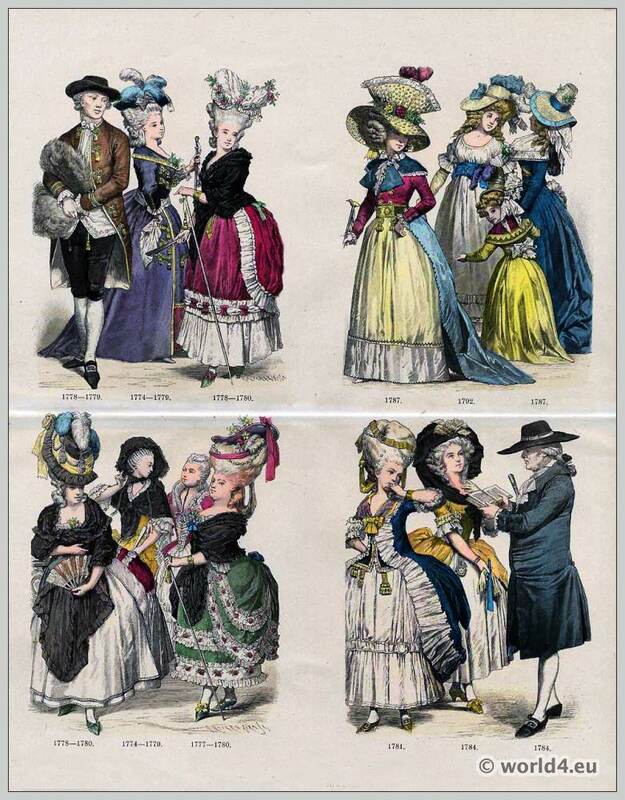 Bottom row left: French Rococo fashion of 1778 to 1780 1774 to 1779, 1777 to 1780. Right: French Fashion of 1781 and 1784. 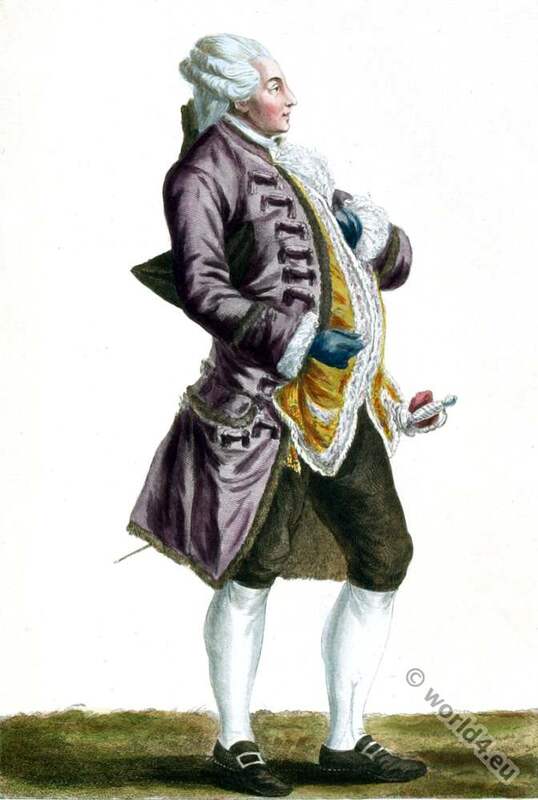 This entry was posted in 1775, 1778, 1780, 18th Century, Ancien Régime, France, Nobility, Rococo and tagged Münchener Bilderbogen, Rococo fashion on 1/23/14 by world4. 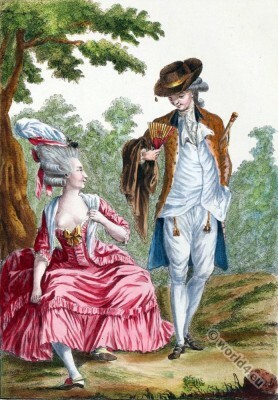 German and French civil costumes. 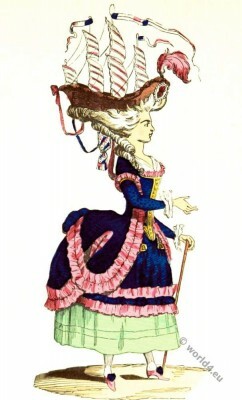 1770 to 1790. Top row left to right: German and french costume in Strasbourg. Civil costumes from Karlsruhe, Vienna, Frankfurt. 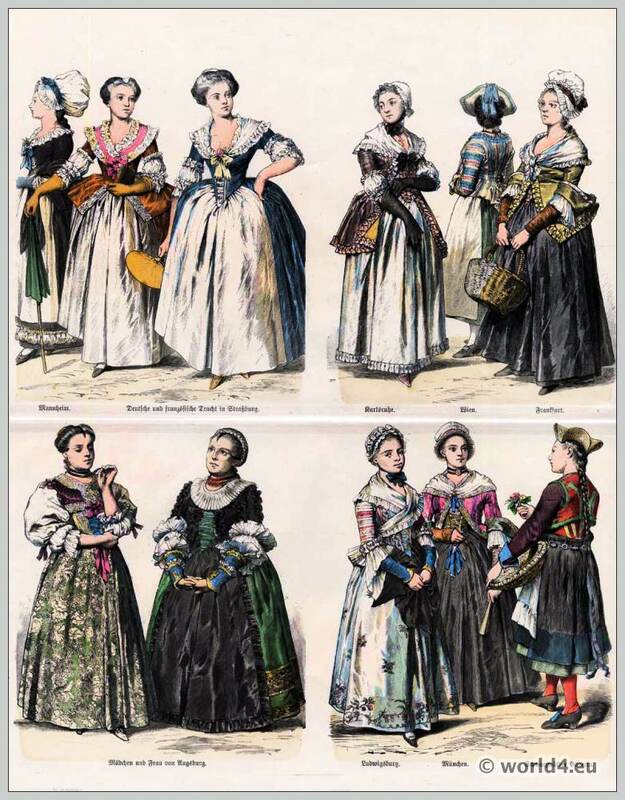 Bottom row left: girl and woman in the costume of Augsburg. Right: costumes from Ludwigsburg, Munich, Black Forest peasant. 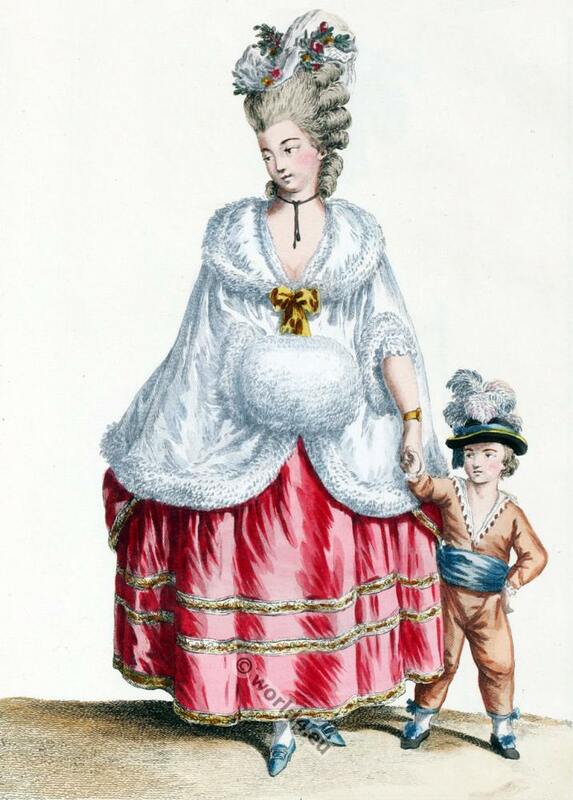 This entry was posted in 1770, 1780, 1791, 18th Century, France, Germany, Traditional and tagged Bonnet, French national costumes, Münchener Bilderbogen, Traditional German Costumes on 1/23/14 by world4.